Classic Sci-Fi: QUATERMASS II part 2 | Warped Factor - Words in the Key of Geek. 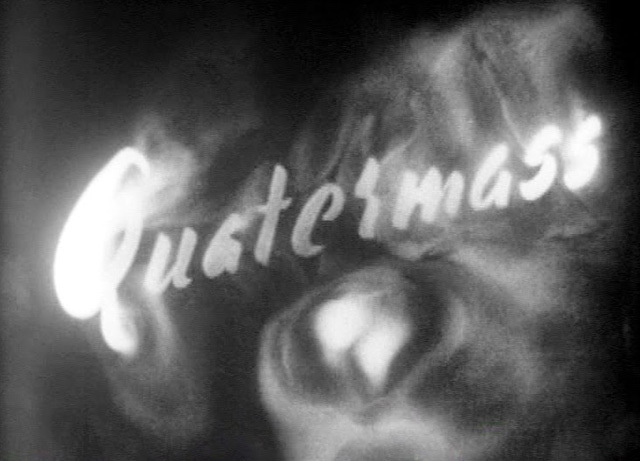 Greg Bakun continues his compelling look back at Quatermass II. Last week, we published the first part of my review of the engaging serial Quatermass II. The first 2 episodes had been a very enjoyable experience and it is a wonderfully historical piece of British television. 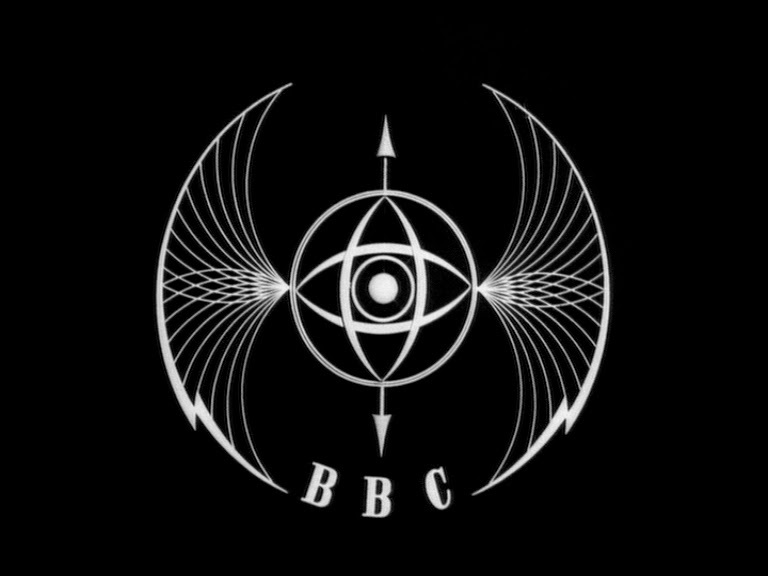 I watched the episodes late into the evening so the room was dark apart from the flicker of the TV which was emitting the spooky black & white images of a vintage piece of BBC history. Would the viewing of episodes 3 & 4 be as enjoyable as the first two installments? In a word, yes! At a hearing to discuss findings on a mysterious synthetic food refinery, Quatermass suddenly points out to Broadhead that one of the members in the room has the mysterious mark on his face. Both Quatermass and Broadhead give too much information and Quatermass leaves to return to Fowler’s office as Broadhead finishes up. Quatermass and Fowler get anxious as they await Broadhead’s return. After waiting a bit longer, Quatermass and Fowler return to an otherwise empty boardroom, they find Broadhead slumped over. He had succumbed to the gasses from a meteor left behind by the aliens. Soon a ghoulish group of medics arrive, also with marks, who want to attend to Broadhead. This is a chilling scene as you would expect the medics to be helpful but here they are portrayed as zombies who want to collect someone just converted to be like them. Quatermass and Fowler are fearful for their lives and are not even sure if returning to Fowler’s office will be safe. 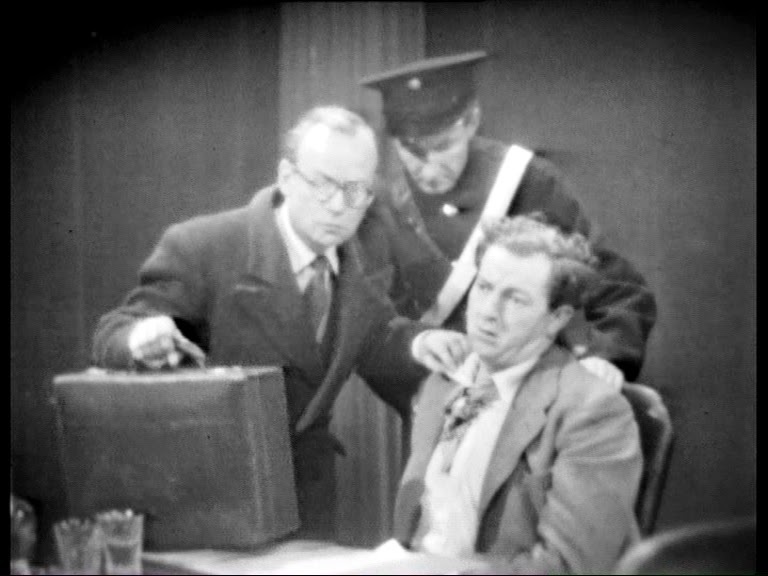 After they leave the board room, Fowler gets Quatermass in touch with Ward. Ward has actually been able to get into the facility and still has a pass. With some persuasion from Quatermass, Ward takes both him and Fowler to the plant. They are able to hide from patrolling guards because there is a family who travelled out to that area for a picnic. The guards have gone out to meet the family to get them to leave the area since they are trespassing. 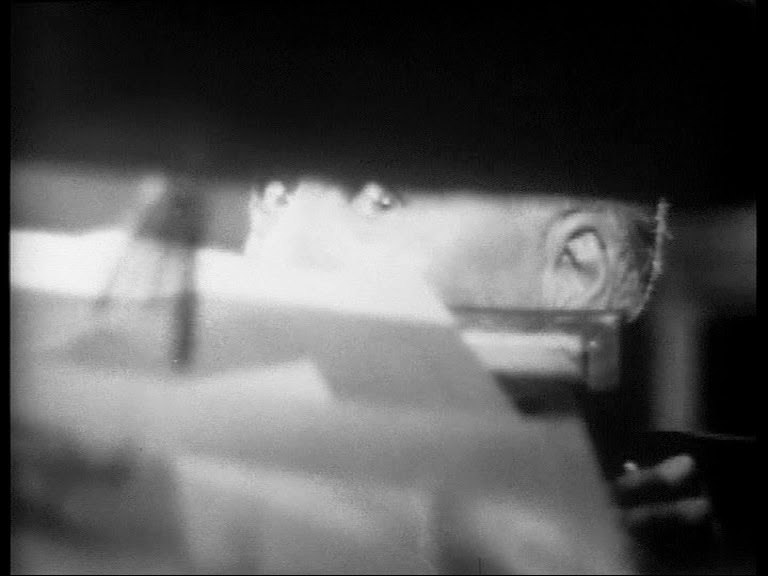 Once inside the plant, Quatermass checks the medical facility to see if Dillon is in there. Dillon is no where to be found. As they start checking on other areas in the factory, the workers under the influence of whatever is in control suspend all work. Ward disappears. 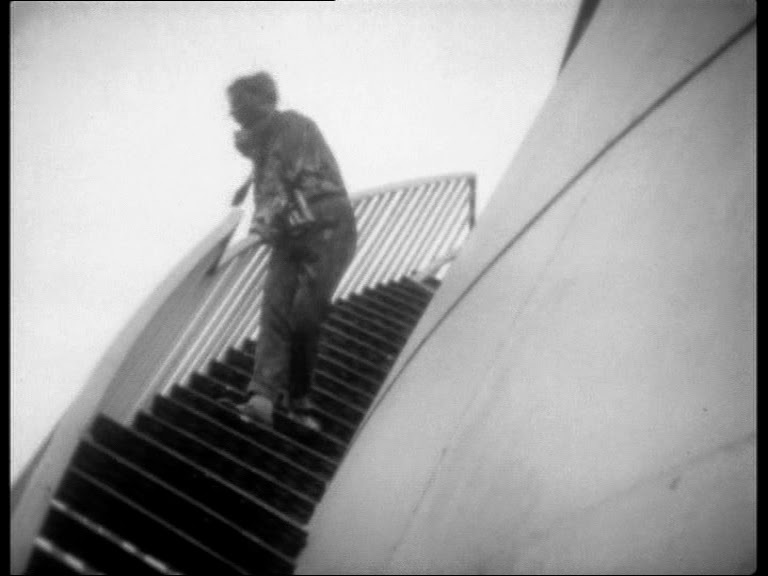 The next time Ward appears is during one of the most iconic shots of any of the Quatermass serials. Ward is covered with a black sludge like substance which is burning him. It has completely covered him and he has moments to live. Due to the Kneale’s and Cartier’s controversial production of Nineteen Eighty-Four, the BBC was keen to make sure viewers were warned about the themes and imagery they would see in this serial. At the beginning of The Coming there is a BBC warning: "In our opinion it is not suitable for children or for those of you who may have a nervous disposition". Both Kneale and Cartier hated this warning. Kneale was angered because he wrote an adult thriller for adults. In the previous article, I mentioned that atmosphere plays a very large part in the story. I felt that everything had a bleak look to it. I thought that was the same this week such as the scene when the family was at their picnic. It should be a happy setting but the scene is unsettling even before the guards show up. There is nothing relaxing or nice about the area they chose to have their picnic. Once the guards show up, it becomes tragic as it is all too clear that this scenario will turn fatal for the family. We don’t see the murders happen on screen. We only hear the gunshots which allow Quatermass and Fowler to escape but it is obvious the gunshots are the family’s fate. It is only after this that we see the family’s car pulled into the food facility and a lifeless arm is hanging out the window. It is becoming obvious at this stage that this is not some random entity but an intelligent group that are focusing on putting controlled people in power, such as the people at Broadhead’s hearing, to achieve their goal of invasion. What I find interesting is the way these controlled people are portrayed on screen. If not done right, this could be a fine line between creepy and comical. Luckily it is actually quite powerful and disturbing. These “zombies” speak like they are not in control of their bodies or how they speak to others. They have blank, glossy stares on their faces. To be honest, they are frightening. Great examples of this are the scenes at the beginning of The Food where the members of the hearing speak. It is unnerving and the same can be said of the guard in the scene in the pub during The Coming. I think what contributes to these performances is the black & white gloomy picture. Being a fan of vintage British television plus having a keen interest in television restoration, I wanted to give my thoughts on the DVD release. For many years any of the Quatermass serials were just stories I read about on this page. I hate to sound old-fashioned but people don’t know how good they have it these days. If there is some vintage television they want to see, it’s probably out on DVD or they could possibly find it via You Tube or Torrents. I heard about Quatermass for the first time over twenty years ago but only got to know more about it through the site listed above. At that point, it was mouth watering to read details about these stories and how cool they must have been to watch; especially for me Quatermass and the Pit. Over the years Quatermass and the Pit has been released as an omnibus VHS, then DVD released by Revelation. Then in 2005 one of the greatest DVD releases of all-time came out. 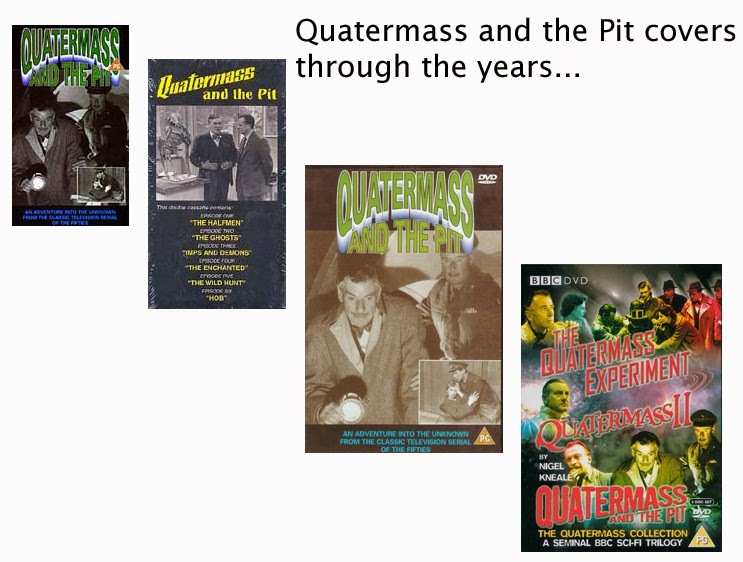 The Quatermass Trilogy of The Quatermass Experiment, Quatermass II, and Quatermass and the Pit. This was restored by the same folks who restore the Doctor Who stories. They went back to the original film negatives and did the best possible restoration based on the quality of the source material. Quatermass II looks a lot better than I thought it would. Of course like many fans, I had a bootleg PAL VHS copy of this serial. Although for a bootleg even then it looked quite good; it was obvious there were issues with the picture on the source material. There is a lot of stair-stepping with the picture and an overall murky look to it. The one thing I am really happy to see fixed on the story is the half a second of black between each camera shot done in studio. The switchers used to switch between camera shots were mechanical. When this was shot at Lime Grove studios, the switcher used was faulty. Thus, putting black between the shots. It drove me crazy! I almost couldn’t watch it that way. That has been fixed and I am so happy. The viewer warning prior to The Coming also was sourced from the master version of that BBC ident so the quality is superb. Packaging wise, the DVD set comes with a 47 page booklet on everything you wanted to know about the production of the Quatermass serials. Written by Andrew Pixley, it has all sorts of minute details that you would have thought had been long lost by the time he came around to do these viewing notes. The only thing that lets down this set is the cover. It looks like a cover for a cheesy sci-fi triple feature. It completely undermines all the hard work, restoration and research that went into making this release. Next week: we come to the end of Quatermass II with the final two episodes of the serial. The Frenzy and The Destroyers. 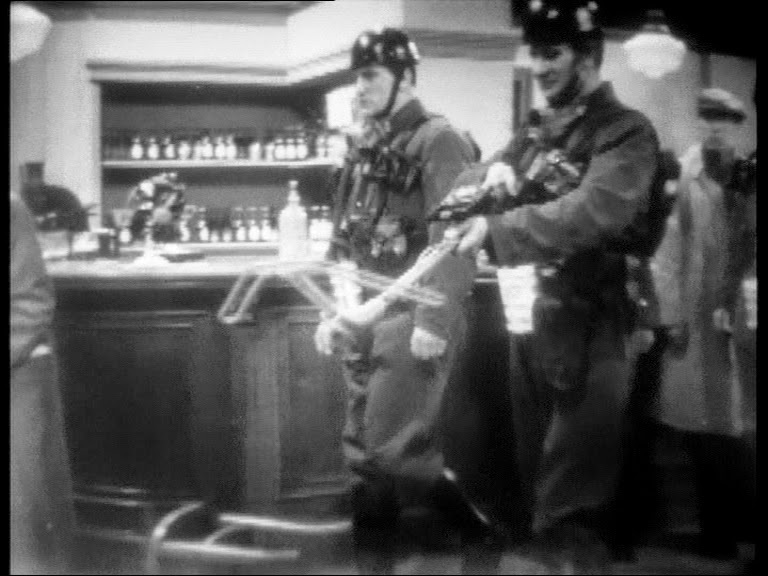 The Frenzy may just be one of the best episodes of any Quatermass serial or any TV show ever. Find out why next week.